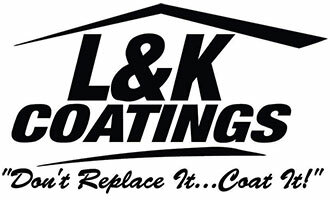 L & K Coatings LLC uses Conklin's Spray Polurethane Foam (SPF) System, which is a seamless barrier that insulates and waterproofs your Iowa commercial roof to save energy costs. Conklin's SPF System will deliver all these benefits on a new or restored roof for years to come. Increase Energy efficiency and lowers utility expense with a cool white reflective surface and an insulation value of R-6.5 per Inch of thickness. Stops lateral water movement with the foams closed cell structure. Simplifies repairs- most damage can be fixed with a caulk gun and coatings. There are no known end of service life figures for SPF. Generally, if SPF is pressure washed and sprayed with a top coat every 15 to 20 years this system will last decades. SPF shows little sign of deterioration or change in physical properties even after 30 years. SPF provides a continuous air barrier preventing moisture through air leakage, minimizing dew point problems and condensation within the building envelope avoiding thermal bridging, resisting heat movement in all directions and providing reliable performance under varying conditions. SPF roof systems can be applied directly over BUR, modified-bitumen, concrete, wood, asphalt shingles, clay tile, and metal. Since it adds very little weight (about 8oz. per square foot at 1 inch thick) SPF is used as a recover system over existing roofs without the need for tear-off. This reduces the amount of construction debris in landfills. Also if no tear off is needed, exposing the interior of your building to the elements is eliminated. Another major advantage in a Sprayed Polyurathane Foam roof system that does not exist with any other roofing system, is the SPF is a renewable system. While BUR and single-ply roofs must be removed and replaced after their usable lives, SPF roofs can be repaired and recoated to offer an indefinite life expectancy coupled with the energy savings and reduction of in house maintenance costs. The SPF roofing system maintains a tremendous long term cost efficiency advantage over all other roofing systems. The average roof absorbs a large portion of the sun's ultraviolet rays as heat. Conklin's white SPF roofing system reflects 85% of the sun's heat, cooling your building and saving you as much as 30% in air conditioning costs. A great return on investment is another important reason to install Conklin's SPF Roofing System. Many satisified builing owners discover that a Conklin roof pays for itself during the warranty period in lower air conditioning costs. Federal tax rebates, tax credits and deduction may also offset your investment. Check with your local utility company, tax advisor, or visit www.energystar.gov for additional details.